Bluetooth speakers are a great gadget to take to days at the beach, nights out by a bonfire and picnics at the park. However, that doesn't mean a great portable speaker isn't extremely useful to have on hand at home while you take a relaxing bath or work in the garden. 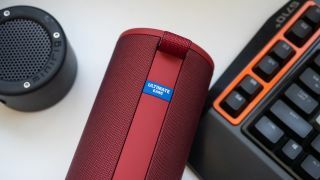 What are the best bluetooth speakers of 2019? Which Bluetooth speaker should you buy? Ultimate Ears now lets you customize your UE Boom 3, so you have even more options when it comes to color and pattern combinations. For the money, the JBL Charge 4 is a definite no-brainer. For just $150 (£160, AU$200), you get a speaker that lasts all day, sounds great, can put up with all kinds of abuse, and tops your phone up in a pinch. Yes, there are better sounding speakers but you’ll have to spend much more money. While the JBL Charge 4 only offers minor updates to the previous generation, it remains an excellent value in wireless speakers - and is one of the best waterproof speakers around. The new Bowers and Wilkins Zeppelin Wireless is a beautiful piece of design. It's a solid, reassuringly weighty wireless speaker delivering on all the B&W audio heritage which the British audio maestro has been building up throughout its lifetime: The sound is clear and natural, delivering room-filling audio with seriously punchy mid-range, and dynamic, controlled bass. The Tribit XSound Go shouldn’t sound this good for the price, but it does. The speaker impressed with balanced sound, is near distortion-free at high volumes, and lasts and incredible 20+ hours of playtime at medium volume. Plus, the speaker is IPX7 water and dust resistant so it’ll put up with a day at the beach or pool without a problem. While its design may be forgettable, you won’t care once you hear how good the XSound Go sounds. In terms of competition, you’ll have to spend a lot more for better sound quality. The UE Wonderboom is an excellent outdoor speaker, but will cost twice the money and doesn’t last as long as the Tribit. However, the UE Wonderboom does offer 360-degree sound and multi-speaker pairing if that matters to you. The JBL Flip 4 is also a good alternative if you want more bass emphasis and 360-degree sound but, if you're on a budget, you can't beat the XSound Go. The SRS-XB501G is a big speaker that offers a light show, tripod mount, big sound, and Google Assistant. This is a speaker that you can truly use on the go and in the home after a day of partying. On the go, the speaker is brilliant, playing loudly and for up to 16 hours. But at home, it’s dated design and average voice detection are compromises compared to dedicated home speakers. Competitors like the LG PK7 sounds slightly better and has a light show that actually reacts to your music, however it doesn’t have the Google Assistant built in. If you’re looking for an actual portable speaker that you can fit in a bag that also supports Google Assistant, the JBL Link 20 is a good choice. Just don’t expect it to pump out as much bass or offer as wide of a soundstage. To that end, the XB501G is a good all-around compromise that fills multiple purposes. It's not the best wireless speaker, nor the best smart speaker, but it's a solid entry in both categories and one of a select few to exist in both camps.